Project INTERACT (INternet, TEchnology, Romance, And Couple Time) is a longitudinal and daily diary study that seeks to understand how daily relationship interactions and quality are influenced by the presence of technology during couple time. This project will likely run from January 2017 to September 2018. As the Principal Investigator on this project, I conceptualized and designed this project. Along with my co-investigator, Michelle Drouin, and my research assistants, we are recruiting approx. 200 couples for this daily diary study. I also will manage data collection, data management/cleaning, analysis, and research manuscript preparation. Throughout the project, I am managing and mentoring a team of undergraduate research assistants. CLICK HERE to meet the team. I have a wealth of data from this project that I am analyzing and writing about! This project ran from 2015 to 2016. I was the Principal Investigator and Project Coordinator for the Daily Family Life Project at Penn State. 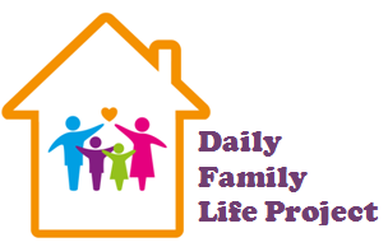 The Daily Family Life Project is a longitudinal daily diary study of family relationships that sought to understand the daily processes and variability in the coparenting quality of young children. As the Principal Investigator, I conceptualized, designed, and recruited over 180 families for this intensive longitudinal and daily diary study. I was involved in the daily management of data collection, data management/cleaning, analysis, and research manuscript preparation. I also managed and mentored a team of undergraduate research assistants. As a graduate student at Penn State, I worked with Dr. Douglas Teti on this project. My role in this project developed over time and strengthened my understanding of the research process. Among other things, I was trained to code parenting practices during bedtime videos, trained other students in this coding scheme, as well as refined the coding system. For example, I had a significant role in developing a coding scheme for coparenting interactions during video-recorded bedtime routines. In this lab, I came to be seen as an expert on coparenting research and dyadic data analysis. Further, I assisted other students with their statistical analyses, etc. My time with Project SIESTA saw the completion of multiple publications and many conference presentations. 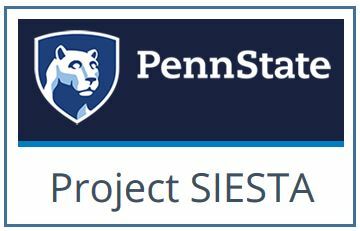 Project SIESTA (Study of Infants’ Emergent Sleep TrAjectories) is a NIH- -funded study of parent and child contributions to the development of infant sleep patterns across the infant’s first two years of life. Over 160 families (both mothers and fathers) with a newborn were recruited and followed at several points across the first two years after birth. These data include measures of mother, father, and infant sleep-wake activity, saliva samples, bedtime and nighttime infant behavior and parent-infant interaction, and parents’ perceptions of themselves, of their infants, and how well or poorly parents and infants are sleeping during the night. During my time as a graduate student at Penn State and as a pre-doctoral fellow in the NIDA-funded T32 Prevention and Methodology Training (PAMT) program (T32-DA0176), I worked with Dr. Mark Feinberg on his Family Foundations data. I gained much experience in proposing research ideas, performing data analysis in SPSS and SAS, presenting at conferences, and preparing manuscripts for publication. I was primarily responsible for managing the daily diary data set and beginning to analyze some of the project's research questions, such as whether reactivity to daily stressors changes from before to after the birth of a child. I also collaborate with Dr. J.-P. Laurenceau (expert in dyadic ILD analysis). This work gave me a foundation for managing and conducting my own daily diary research. Through the PAMT program, I also received training on topics such as grant-writing and ethics through the Prevention Research Center, and was exposed to innovative methods through the Methodology Center. Family Foundations is an intervention aimed at expectant parents that has been implemented successfully in multiple trials. The programs primary focus is to improve the quality of coparenting, as partners learn to work together in raising their child.